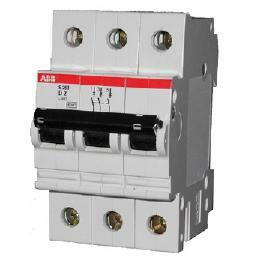 The S2 Series of miniature circuit breakers offer a compact solution to protection requirements. The S2 devices are current limiting, DIN rail mounted and can offer a good equivalent to fused systems. The S2 is available with application-specific trip characteristics to provide maximum circuit protection. The breakers offer thermal-magnetic trip protection according to B, C, D, K and Z characteristics. For the worldwide market, the breakers carry UL, CSA, IEC, CE and many other agency approvals and certifications.